Now, it's all very well being a top driver on the grid, and being singled out as the best character, but that's not the only thing we should judge our drivers on. We should also judge them on their looks. That's right, ladies and gentlemen, this one-off cup is all about the superficial. It must be the "in thing" because the BBC's F1 site launched with the killer question - Keira or Angelina? The Telegraph has a photo gallery of Formula 1 WAGS. Now I'm turning the tables, and it's time to choose between our boys. Well, you all can. 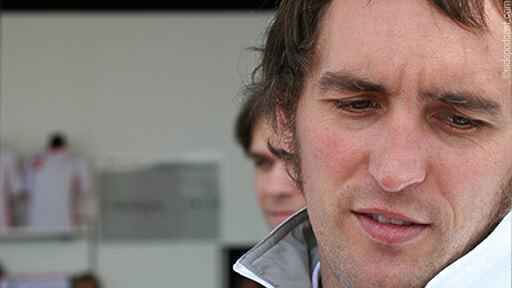 I'm abstaining because the best looking driver isn't on the grid in 2009. Above all else, this cup is a bit of fun. Don't take it too seriously and remember, it's not just aimed at the ladies in the audience. If you listened to the latest episode of Sidepodpanel, you'll know that there's no shame in the man-crush. Both Gavin and Steven chose Lewis Hamilton over the others, and I already know who RG is going to vote for. The poll will only be open for a couple of days, so make sure you register your vote, and we can crown the Sidepodcast Best Looking Driver of 2009.